Long time listener, first time caller. I’ve been a Shelagh Rogers fan for more years than I care to remember – right back to her early days on Peter Gzowski’s Morningside. I’ve always loved the tone she strikes and the chemistry she unerringly finds with her guests. (And I can confirm, the Shelagh you hear on the air, is the same Shelagh you get when the “ON AIR” light is extinguished. )Â I actually met her at the very first Podcasters Across Borders gathering in Kingston back in 2006. I’m sure she remembers the giddy fan she’d just met as he struggled to find something pseudo-intelligent to say. Instead I think I just gushed “I’m a big fan!” etc. etc. How embarrassing. But I’ll always be grateful for her commitment to Canadian literature and her desire to keep the CBC engaged and leading in literary programming. So I’m a charter subscriber to The Next Chapter podcast and listen every week. 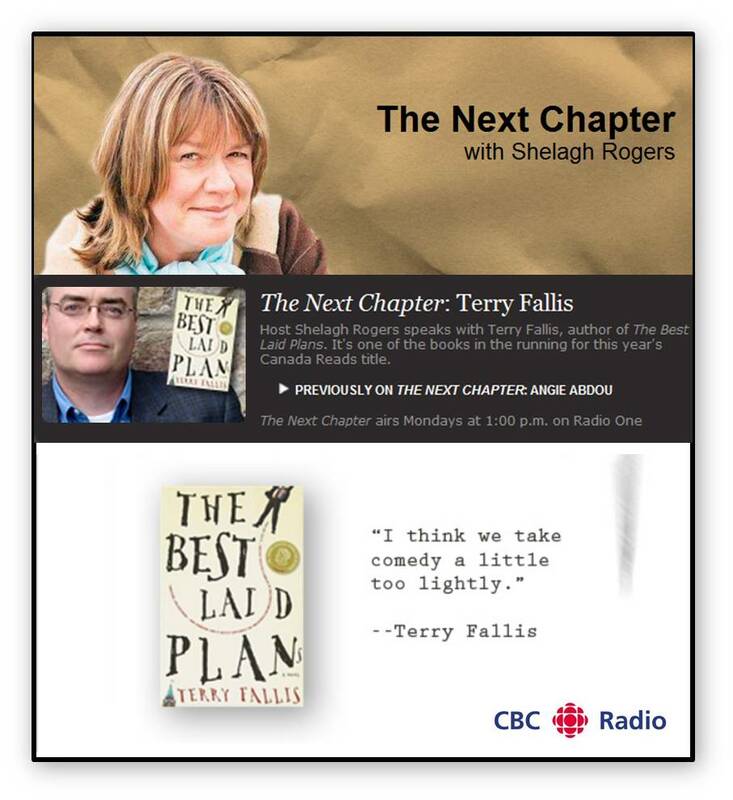 Needless to say, it was a thrill to join her on this week’s The Next Chapter to talk about The Best Laid Plans and Canada Reads (click on the graphic above to listen). I was nervous at the start, but seemed to survive. Thank you, Shelagh, for making what was a big deal for me, feel as comfortable as a conversation in a gorcery store checkout-line.